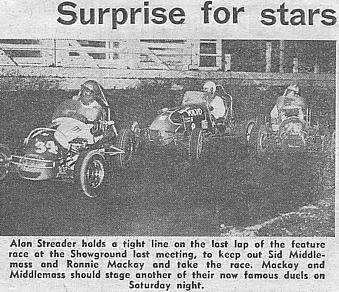 Alan Streader, born January 18 1928, is an Australian Speedway legend. 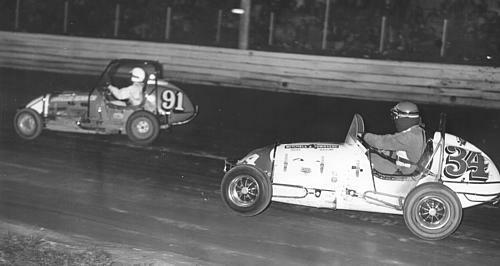 An enthusiastic sidecar rider, in his early days Allan went on to a successful midget and TQ ( Junior Speedcar ) career with several big Championship wins. In 2003 Alan is still heavily involved with Vintage Compacts (TQs) , Modern Compact Speedcars and the Vintage Speedcar Association of NSW. 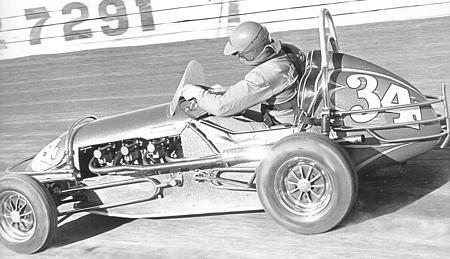 An accomplished engineer Alan has always been known for his innovations in speedway vehicles. 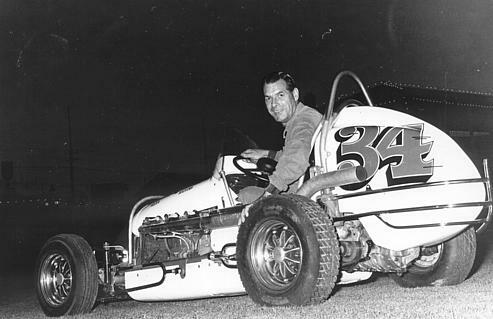 Affectionately known to his fans as ' The Red Baron" because of the flowing red scarf he wore, he built up quite a fan base over the years, his riding and driving career spanning 50 odd years..
Tha # 34 midget is hooked up to the M&T Tow Truck ready for a night out. The year was 1971. Alan in # 34 going for the inside running.on car # 91. Alan runs the low line on car # 5. 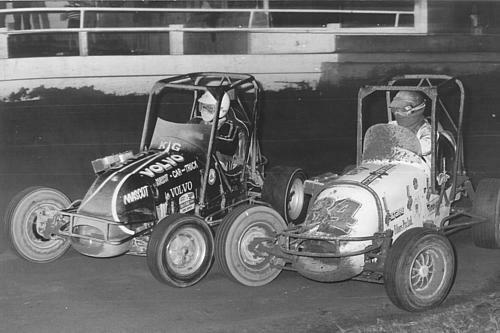 Two Volvo midgets at the Royale hard at it. The # 45 Wells Volvo with Kevin Gormly at the wheel tries to keep Alan honest in the now caged Mitchell & Townsend # 34 with Volvo engine. This was the end of the 1973 / 74 ESRA Sydney Season Club Championship. 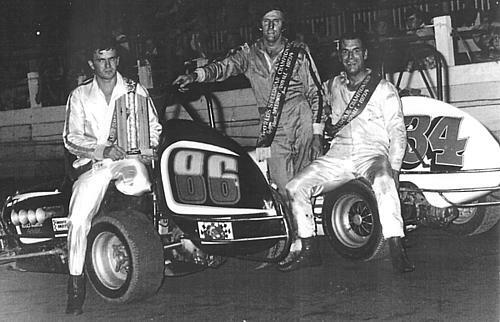 The placegetters in the 1973 /74 Golden Fleece World Speedcar Championship, held at the Sydney Showground Speedway, Danny Davidson 1st, George Tatnell 3rd. and Alan Streader 2nd. VSA Presidents, past and present ( July 2003 ) 'Scarem ' Sid Middlemass on the left, helps Allan with some presentations at the Vintage Speedcar Association of NSW's 2003 Presentation Night. A great action shot of Alan all hooked up in NSW # 34 Holden. #34 was sold in January 2004 to a VSA member for restoration. Alan at full noise in his front engined TQ in this great Norm Dean photo from the NSW South Coast track of Kembla Grange. Alan, in the TQ # 34 drives the high line around the field at Windsor Speedway, NSW. in this Norm Dean pic. 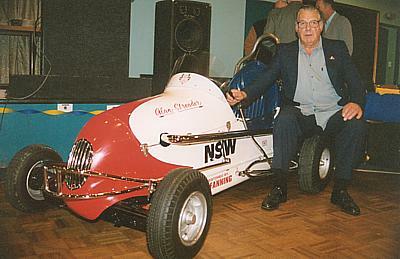 Alan poses witrh his restored TQ, NSW1, at a Compact Speedcar Dinner in 2000. #1 is now owned by Harold Fanning. A great Streader Team photo. 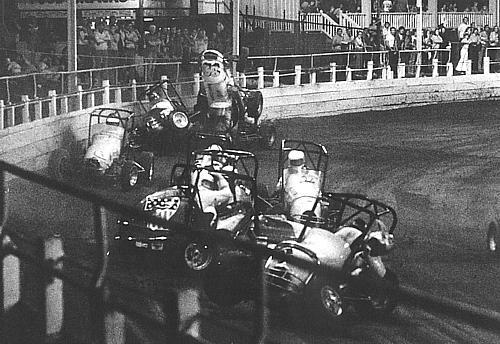 on the infield of the Sydney Showground Speedway, the big Member's Stand in the background. 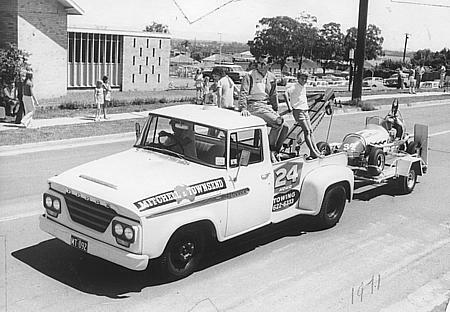 The young man ( far right ) with his hand on the rear roll bar is Col Day, father of Rodney and Allan Day. 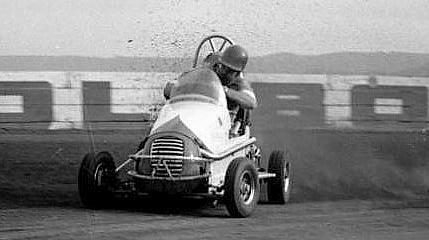 This was Col's introduction to Speedcar racing. 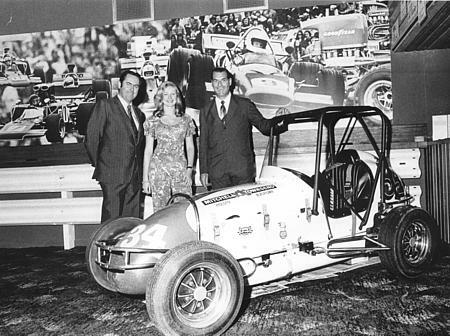 Alan poses with Sir Jack Brabham, a hostess and the Mitchell & Townsend Volvo midget # 34 at the opening of a Sports Bar at a Sydney Western Suburbs club. 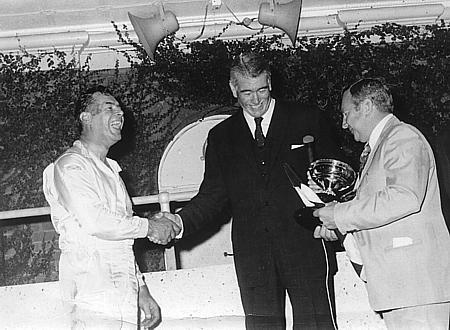 Winner of The Governor's Cup, Alan is congratulated and shares a joke with Sir Roden Cutler, the then Governor General of Australia. 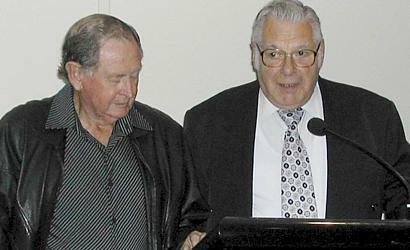 Owen Bateman, the Sydney Showground Speedway promoter on the right, holds the cup. 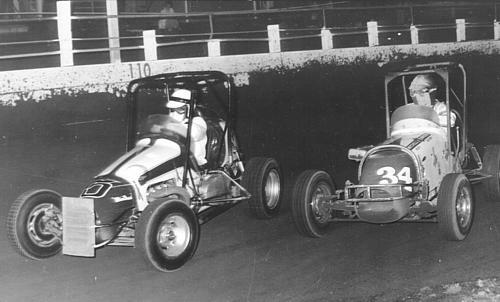 Alan in # 34, upside down in mid air, takes a big one on turn one at the Sydney Showground Speedway. 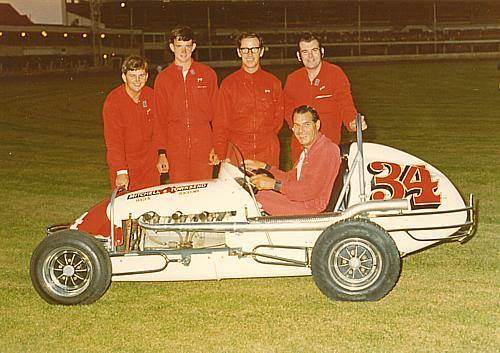 Alan and the # 34 Mitchell & Townsend Holden midget on their way to a feature race win at the Royale.